edit if it WAS something bad Sean did it. I was actually embarrassed for a lot of the podcast because, having not been used to hearing Anita talk except in a presentational mode, she just sounded like a less ebullient Danielle to me. I had it figured out by the end, but I was miserable there for a bit. I wasn't going to say anything but I felt the same. (Actually I was going to say something until the opportunity for that really dumb joke fell in my lap.) Even though Anita actually does sound very different I kept thinking it was Danielle. Whereas every time I heard Danielle, I knew immediately it wasn't Anita. Lovecraft digression: I can wholeheartedly recommend the H. P. Lovecraft Literary Podcast, available at the excellent URL http://hppodcraft.com/ -- its value from my point of view is that they read all of his stuff so that you don't have to. The beginning is the place to start, they just go through everything he wrote in the order that he wrote it. A lot of his stories are kinda boring, a lot of the good ones still have moments of ponderous pacing, and you never know when you're going to run across his horrible attitudes. I had the same issue, just had to learn what her voice sounded like instead of just assuming all lady voices on idle thumbs are Danielle. Stupid brain. There's only one possible solution here, which is that Danielle's going to need to use the Rhode Island accent at all times. Have any of the Thumbs been down to the Musee Mecanique? The site mostly shows off their antique stuff but they have a good collection of like 80s, 90s, and 00s era arcade machines too. That's the only place I've ever got to play the sweet vector graphics Star Wars arcade. I actually didn't have a problem with it at all but I second this. Huh, Pac-Man Battle Royale has a set up at a Main Event in Houston but it doesn't seem like it gets used much. Last time I went it was our group of friends hogging it after trying to find another game to play and just returning to Pac-Man. Also Tanks! Tanks! Tanks! but I think mostly people loved the webcam shot. Man, I didn't consider Lovecraft when that discussion was going on. I've definitely watched a bunch of offensive portrayals in cartoons, and they don't really bother me at all. I dunno what it is about them, but they seem toothless in a way. Uh, this is excluding Song of the South, which I either haven't seen or don't remember. Lovecraft on the other hand, hit me really hard when I attempted to read it. I'm not really a stranger to reading older fiction and coming across racist thought processes and language (because that's most older fiction). However, I often come across those works from an academic standpoint, and they're framed with that stuff in mind. However, on the internet, the discussions of Lovecraft's work and derivative work that I was engaged in was completely separated from that aspect. All I heard about his work was a deep respect for his take on horror using these powerful creatures whose indifference towards man is so potent as to be malicious while the people discovering them struggle with their minds in trying to comprehend them. So, I was crushed when I attempted to read my first Lovecraft in a little anthology from the library, to find that it's also couched in this deeply racist and hateful viewpoint. I still haven't read any of his stuff. I was already thinking it's valuable to show works that are from a time when extremely offensive portrayals were more widely accepted, so that we have a good sense of history, but bringing up Lovecraft just intensifies that desire. I still enjoy Lovecraft-derivative works and love those his horror concepts, but I think being able to separate that from other sensibilities in his work to the point that you can enjoy and espouse it without ever engaging in it is extremely disingenuous. Lovecraft almost feels more toothless to me personally because he was so cartoonishly, impossibly racist. I know that that's absolutely a failing on my part, but it's so hard to take his writing as a serious threat because of the absurd depths of his racism. Like, "Polaris" is about how much he hates Eskimos. Who has beef with Eskimos? note: I am aware that the Canadian government treats Inuit people like garbage and that anti-seal hunting conservationism has a profound negative impact on them; I'm talking more along the lines of personal prejudices. Lovecraft probably never even met any Inuit people. Cool cool. Danielle is so ill. I think when faced with these equally imperfect choices I favor "not sanitizing." Even the "free youtube" version isn't really free, they're getting that advertising money, and you've shifted the value to google as the host. It's easy to recognize older, agreed upon problems and say "they shouldn't be selling this" but we can do the same, almost equally for modern works. TV & Film, broadly, is still thoroughly racist, it's just that our understanding of racist attitudes have shifted from the most obvious "shucking and jiving" to representation and opportunity. I favor the "not sanitizing" approach myself when it comes to the question of whether or not to continue distributing content that might be objectionable. It's been something I've been confronting a lot lately when trying to share content (games, film, music, books, etc.) to my teenage daughter and son. There's more than enough content out there that I could avoid quite a bit "questionable" content if I wanted to with just a little effort. When the kids were younger and their comprehension of issues was less developed I certainly did so. However, now that they're making further steps towards adulthood I feel an obligation to teach them how to critically think about what they explore with the full knowledge that the same work might be an element in forming a toxic worldview in someone else. Additionally, I have to think just as critically about my own consumption of content. The commercial aspect is really tricky especially went you realize that nothing is ever really free so much as the costs can be obscured, minimized, and/or distributed in such a manner that the trade offs, benefits, and risk aren't obvious. I do think there's a difference between broadcasting a work like "Song of the South" on network television and having a copy archived in a library that can be checked but I have a hard time placing things like hosting it for "free" on YouTube or allowing a consumer to stream it on demand through something like Amazon. I think it's a tricky matter with collaborative works especially ones that involve a huge number of people involved in their creation with a myriad of different and often conflicting set of motivations. Add to that all of the people and motivations involved with distribution and marketing and it gets even more complex. Navigating this stuff as a consumer and parent can be hard. For example, my daughter loves playing the guitar, as do I, and sharing songs and albums that have interesting guitar elements something that's incredibly positive for our relationship. An album with some great and musically significant guitar work on it that I'd like to share with her is The Jimi Hendrix Experience album "Are You Experienced?". One of the tracks is the well known track "Hey Joe" which has some incredible blues music and nuanced guitar work but lyrically centers around a man shooting his wife for infidelity. While the track doesn't outright advocate this as a correct course of action and might be argued to be a narration of a realistic scenario there's certainly no condemnation of the violence. If I legally buy this album to share with my daughter what am I saying? I like to think I can share the interesting aspects of this work while being able to point out that this song has some incredibly messed up aspects. Yes, I could present other music and still have an interesting musical experience but I'm not convinced it's necessary. I say all this with the caveat that I think there's a constant ethical challenge for artists and content producers to ask whether they are incorporating potentially offensive elements into a larger work. Thanks for a another great episode and thanks for having Anita on. She has interesting things to say and her work has provided opportunities for me to bring up some important dinner conversations with my son and daughter when we talk about the games we like to share. I guess Jake is cute. In that Karl Pilkington kind of way. Now I want a podcast featuring my favorite bald, white guys: Jake, Karl Pilkington and J Allard. Yeah it seems pretty obvious to me you shouldn't censor this old stuff. Otherwise you miss out on being able to have critical discussions about it. I also vote in favor! Motion passes? This is the only reasonable solution and should definitely happen. 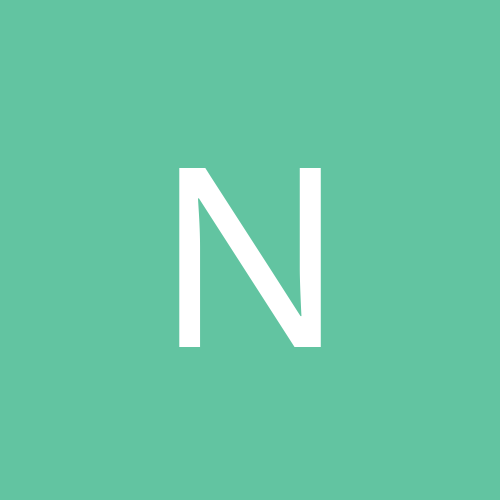 It is content which could be donated to a media museum or academic archive or public domain or have its rights otherwise released in a non-monetizable way, though, as opposed to packaged up and re-sold. It was honestly an angle I hadn't thought about at all until Anita brought it up on the cast, so whoops on me. I was at XOXO and briefly spoke to Sean and Jake while waiting to play Edgar Rice Soirée. Nice meeting you! I had a festival only-pass so didn't get to see Anita's talk but I heard it was great. It should be online in maybe a week or two on the XOXO YouTube channel. (Some good talks there from the previous 2 years). It's not mentioned in the podcast but during their game, Sean fell to the ground quite spectacularly. Sorry for not vining this. I haven't played terror aboard the speedwell, but the credits mention it features illustration from Elizabeth Simmins? Who is the artist responsible for the GFI t shirts. Is it mere coincidence that the game is featured on the same episode that Anita appears as a guest? Great episode! Awesome thing to have Anita on the cast! Okay, so I'm actually now listening to the podcast, and realizing that people are talking about this in the context of rides at Disney Land/World/whatever, and that's obviously a more complicated thing whereas I was just kind of responding to people on the thread talking about HP Lovecraft or whatever. I really enjoyed some of the cast elaborating on the mechanical side of Twine games that they don't enjoy as much. It's a medium I've been wanting to use, but I'm still researching at the moment. 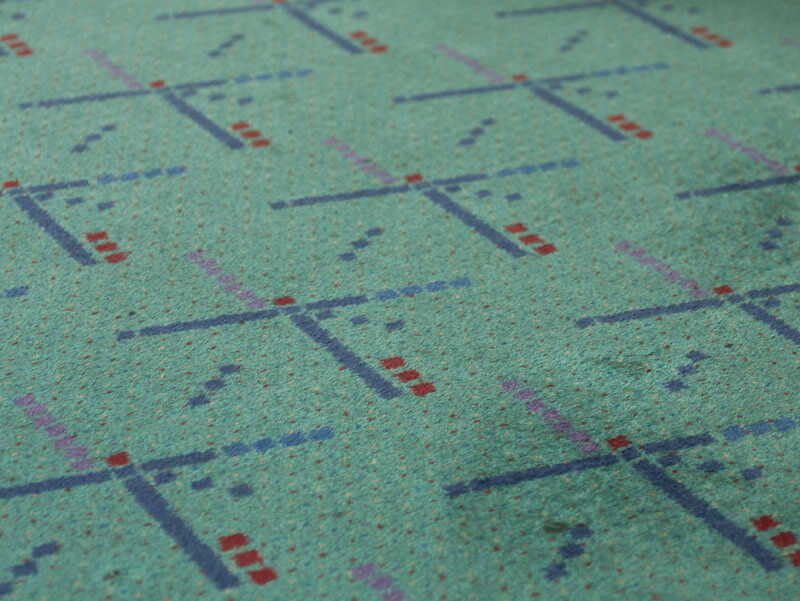 Awful PDX carpet, if anyone's interested. If you live here, expect 12 pictures a week on your facebook feed of peoples feet on this. Still none of the promised Sunless Sea talk It's OK, I'll just keep mentioning it every week. It was cool to hear Anita on the cast. I'm happy that everything started to flow a little better after the break because I also noticed some of the akwardness in the first half. The reason that it stood out to me is that she sounded specifically frustrated about being unable to get her opinion out there, where others (such as Danielle) seemed a little more carefree about the interruptions during the initial Thumbs adjustment period. I'm also on the do-not-edit side of the racist WB cartoon debate. In general I value seeing the original versions of things, regardless of the reasons for the edit, and I find it somewhat dishonest to try and cover those sorts of blemishes. This suggestion probably doesn't alleviate all of your concerns, but with regard to the monetary angle, how about hosting things somewhere like Archive.org? That's a project set up specifically for cultural archival, and is, as far as I'm aware, funded completely non-commercially. Rights owners wouldn't profit at all from nefarious works, and they would be available as cultural artefacts in a relatively neutral and academic setting that wouldn't, for example, particularly promote those works as rad fun things that everyone can enjoy. They could still include any explanatory preambles they saw fit – cultural context and all that.